A successful restaurant is one where customers love to return, time and time again, based on a great experience. The experience is so much more than good food – it’s also about the atmosphere, the overall ambience and feel of the place. 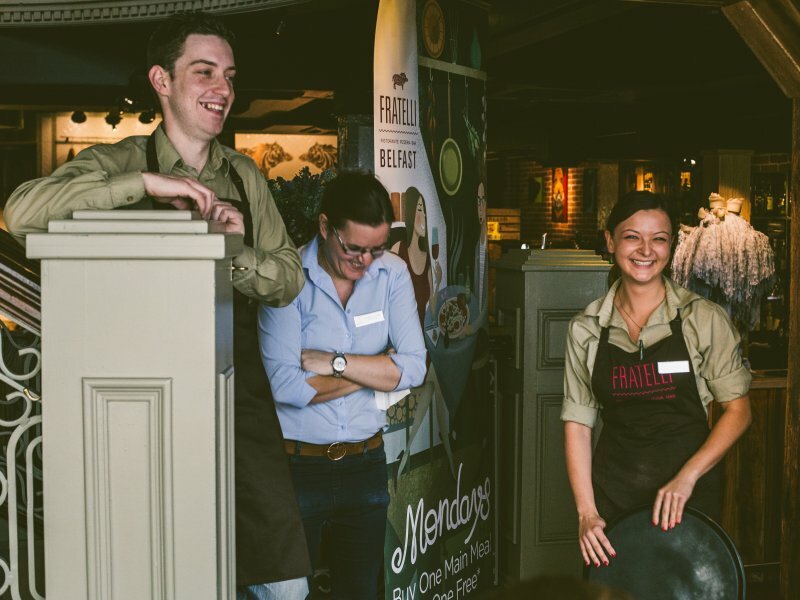 We believe creating this environment starts with the right people – and we’d like you to meet some of the team at Fratelli Belfast. Our talents and experience are diverse, but we're united by one thing: an overarching passion for Italian food, wine and hospitality.